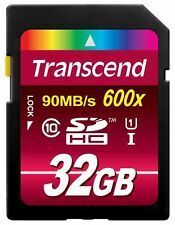 Transcend CompactFlash 32GB 133x EXCELLENT! The card records photos almost instantly, ensuring you will catch your best shot. This card is backed by rigorous stress, shock, and vibration testing and includes RTV silicone coating for protection against shock and vibration. 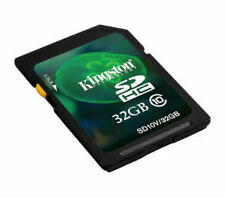 Storage capacity (32GB) for storing essential digital content such as high quality photos, videos, music and a lot more. Optimal speed (Class 4) and performance for micro SDHC compatible devices. Easily transfer files between your digital devices and computers. Brand New. USA Seller - Fast Shipping !! High-speed, Class 10 performance—leverages UHS-I technology for a read transfer speed up to 633x (95MB/s). 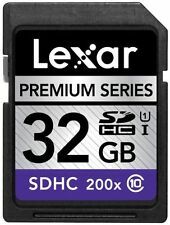 Lexar Professional 633x SDHC/SDXC UHS-I cards. High-speed, Class 10 performance—leverages UHS-I technology (U1 or U3, depending on capacity) for a read transfer speed up to 633x (95MB/s) . XQD Format Version 2 Compliant. 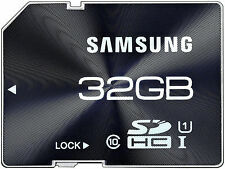 32GB Storage Capacity. The product may or may not include the original manual, but access to an English product manual should be available via the internet. Import models may not be eligible for services from the manufacturer or its affiliates. 10-year limited warranty. 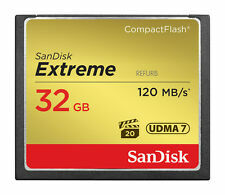 Twice As Fast As Ordinary SDHC Cards, Allowing You To Take Pictures And Transfer Files Quickly. USA SELLER-Fast Delivery. New Sealed Retail Pack !!! SanDisk Ultra SDHC UHS-I Cards are designed to handle whatever life throws at them. These cards are shockproof, X-ray proof, and waterproof. Be ready with double the speed and the highest video performance. 100% NEW ORIGINAL PRODUCT!!! FAST SHIPPING. Micro SD (SDHC and SDXC). SD (SDHC and SDXC). Mini SD (SDHC and SDXC). Storage Capacity: 32GB. 1 x Standard Samsung SD Adapter. Product Manufacturer: Samsung. Product Type: MicroSDHC. Manufacturer Part Number: MB-MC32GA. Water-proof, temperature proof, X-ray proof, shock proof. Do not transfer data from Micro SD cards without adapter to any other device(PC); it will cause data corruption. Data Transfer can only be done with micro SDHC card inserted in adapter. Direct PC to MicroSD HC card data transfer and then inserting in adapter will not work. 100% Genuine SanDisk. Ships Fast from USA Seller !!! 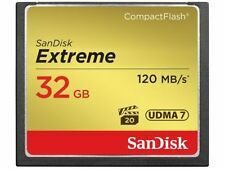 100% Genuine SanDisk in Sealed Retail Pack -USA Seller. Trending at $8.60eBay determines this price through a machine learned model of the product's sale prices within the last 90 days. Capacities up to 32GB accommodate hours of video and thousands of high-resolution images. And with transfer speeds of up to 160MB/s, it makes it easy to move even large files for storage and editing. SANDISK SD Card. Video Speed : C4. Form Factor : SDHC. Trending at $8.99eBay determines this price through a machine learned model of the product's sale prices within the last 90 days. Format FAT32 (SDHC 32GB), exFAT (SDXC 64GB- 256GB) or 128GB. 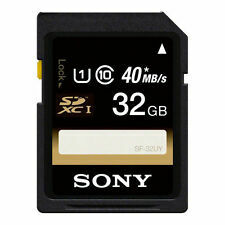 It’s available in multiple capacities up to 256GB¹, to provide plenty of space to capture an entire trip. 8X Read speeds over traditional Class 10 SD Cards. UHS speed Class 3 (U3) and video speed Class 30 (V30) for 4K UHD video. Trending at $14.89eBay determines this price through a machine learned model of the product's sale prices within the last 90 days. Ships Fast from USA Seller !!! Sealed Retail Packaging. SANDISK SD ultra Card. Form Factor : SDHC. Video Speed : C10. Micro SD (SDHC and SDXC). Product Manufacturer: SanDisk. SD (SDHC and SDXC). Mini SD (SDHC and SDXC). Storage Capacity: 32GB. Product Type: MicroSDHC. Manufacturer Part Number: SDSQUNS-032G. Data sharing by multiple connections simultaneously. Wireless function is switched ON only when necessary to prevent wasteful power consumption of the battery. It is easily possible to set up the connection from PC and smartphone. Free & Fast Shipping From USA ! 100% Genuine Sandisk ! SanDisk Original, USA Seller, Lifetime Warranty!